The annual enrollment report for CFAES has been released. The following information summarizes the college’s undergraduate and graduate student enrollment data for Autumn Semester 2015. Agriculture enrollment: 1,833 students; decreased by 8 students, or -0.4 percent. Environment and Natural Resources enrollment: 657 students; increased by 1 student, or 0.2 percent. Combined enrollment: 2,490 in Agriculture and Environment and Natural Resources; declined by -0.3 percent. ATI enrollment increased by 7.0 percent from 702 in 2014 to 751 in 2015. Total undergraduate enrollment for 2015 is 3,403, including 162 from regional (not ATI) campuses. Minority enrollment in Agriculture increased from 183 to 193 students, or 5.5 percent. Minority enrollment in Environment and Natural Resources increased from 56 to 67 students, or 19.6 percent. Minority enrollment at the regional campuses and ATI decreased from 43 to 42 students. or -2.3 percent. The number of new first-year students who directly enrolled in Agriculture on the Columbus campus for Autumn Semester 2015 increased from 139 to 169 students (21.6 percent). 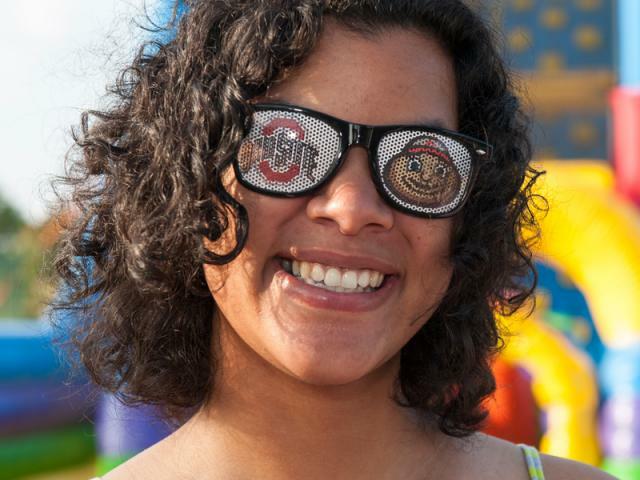 Transfer students from outside of Ohio State remained the same as the previous year — 81 students in 2014 and 2015. Transition students from ATI in Autumn Semester 2015 increased 21.3 percent from 75 in 2014 to 91 in 2015 (with 4 additional in ENR). The number of new first-year students who directly enrolled in Environment and Natural Resources on the Columbus campus increased from 46 students in 2014 to 48 students in 2015, or 4.3 percent. Transfer students decreased from 34 in 2014 to 30 in 2015, or -11.8 percent. During the 2014-2015 academic year (Autumn 2014 through Summer 2015), 516 undergraduate students graduated in Agriculture, and 152 graduated in Environment and Natural Resources. Agriculture enrollment: 476 students; increased 12 students, or 3.3 percent. Environment and Natural Resources enrollment increased by 4 students, or 4.4 percent (does not include students enrolled in the Environmental Science graduate program major). Combined enrollment: 571 students in Agriculture and Environment and Natural Resources; increased 3.5 percent. Ohio State ATI’s 7 percent increase was the largest among all the Ohio State regional campuses and marked ATI’s third straight year of increasing enrollment. ATI’s Autumn Semester headcount is 751, up from last autumn’s 702. Growth in both the number of new students and returning students accounted for the increase. The trend toward greater enrollment in the associate of science degree programs continues, with 38.3 percent of students enrolled in associate of applied science programs and 60.9 percent enrolled in associate of science programs. Programs showing enrollment growth include agricultural business (AS), agriscience education (AS), biochemical sciences (AS) and livestock science (AS).